The Mission is the core philosophy for all strategic and daily decisions of the organization. Many times, the Mission is refined to a simple statement or phrase, so it is easily remembered by all. Regardless of a construction project, every organization should have a Mission to stay on track with their overall strategy. 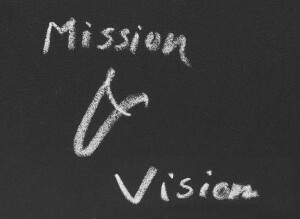 The Vision is the breathing, living, development of the organization based on that Mission. The core leadership team of an organization can have each of its members form a subcommittee and lead these subcommittees in an organized fashion to ascertain information on what will help grow the Mission and organization. The construction professionals can help furnish questions to these subcommittees to learn more about how the organization is structured, operates, and help them figure out what is really needed in a physical building to carry out their needs and dreams to grow the organization. If someone wants to be included, but cannot be a part of the process for a variety of reasons, they can still give their ideas to the subcommittee that is part of that programmatic area. Each subcommittee will then be responsible to answer all of their questions, as well as provide more information, on a timely basis. The chair of these subcommittees, which are the members of the core team, will then reconvene and share of all their information at a Vision meeting with the construction professionals. This information will be the basis of a Program for the present needs, as well as the future dreams. A Master Plan can then be formed, which is driven by the Vision and Mission. The Vision can be utilized in a variety of ways and is very healthy for an organization, in and of itself, as it is a tool to help think of ways to grow and be even more successful. Even if a Master Plan ends up with multiple phases due to financial and other constraints, it creates the “Dream on Paper”, so people can physically see how future needs and ideas can be carried out within the site and building. It transcends the Vision of one person into the Vision of the entire organization.